On Monday the 20th of April 2015, I lost my Twilight Sad virginity. What better place to do so than at their biggest London show, and at a sold-out date to boot? I purchased my ticket almost as soon as they went on sale, and was incredibly excited about the show. 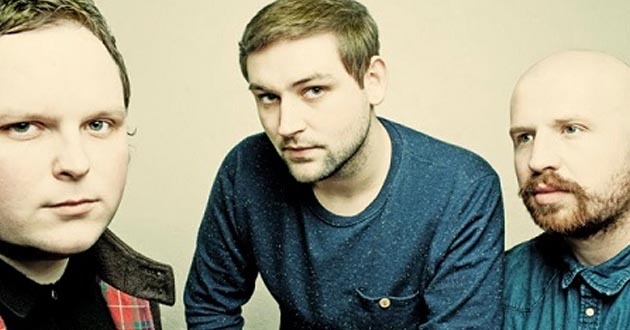 Having watched many live videos of The Twilight Sad on YouTube beforehand, I had an inkling that it would be a great and memorable show, but I had no idea that it would be quite as good as it was. It surpassed my already high expectations; in fact, it almost floored me in places. I met up with a friend who I knew only due to The Twilight Sad and our presence at the gig (pretty cool in itself). Whilst the support band, Man on Moon, was playing, we decided to sit at the back of the venue. I was rather surprised when Andy stood directly in front of us, and proceeded to smile, laugh and talk; something which I had never witnessed in the video footage of him which I’d seen, and which I believe, after talking to other fans, is a rare occurrence. I was already slightly amazed, therefore, before The Twilight Sad even took to the stage. I did not keep note of the setlist; something which seems paramount in a review. I had every intention to do so, but when The Twilight Sad began to play, my every organised thought was thrown out of the window. The set was incredible; as I expected, they played the majority of their newest album, ‘Nobody Wants to Be Here and Nobody Wants to Leave’, as well as many fan favourites, including ‘Wrong Car’ and ‘And She Will Darken The Memory’. They did so with gusto. Every single song, be it a new track or an old one, was approached with such passion by James Graham, and never have I seen a frontman who exudes such sustained energy during an entire set. His appreciation of the crowd and being able to sell out Scala was very humbling too; it’s lovely to see that the boys haven’t forgotten the turbulent journey which, Graham told us, ‘almost broke us’. Losing my Twilight Sad virginity was phenomenal, and it is a night which I will never forget.